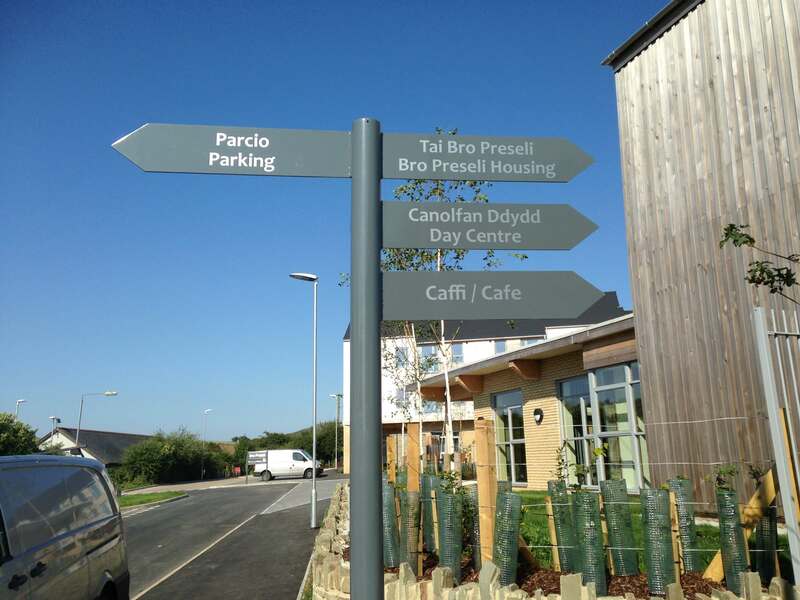 Family Housing Association (FHA) were opening an extra care facility in Pembrokeshire, Wales. 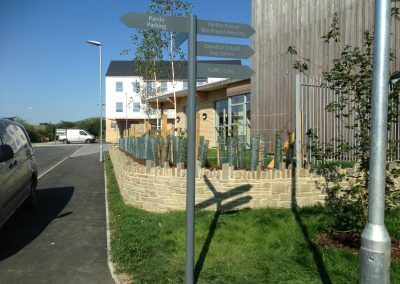 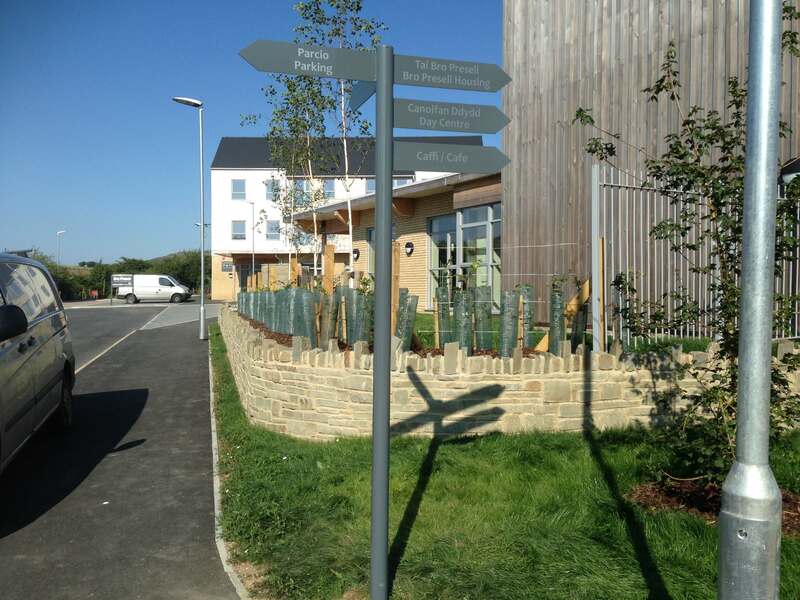 The site included, 40 apartments, GP practice and day care services. 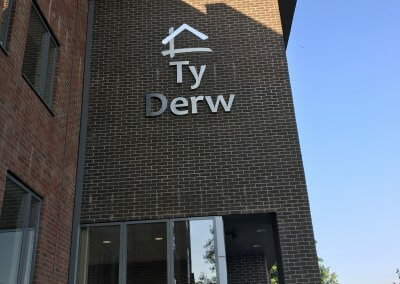 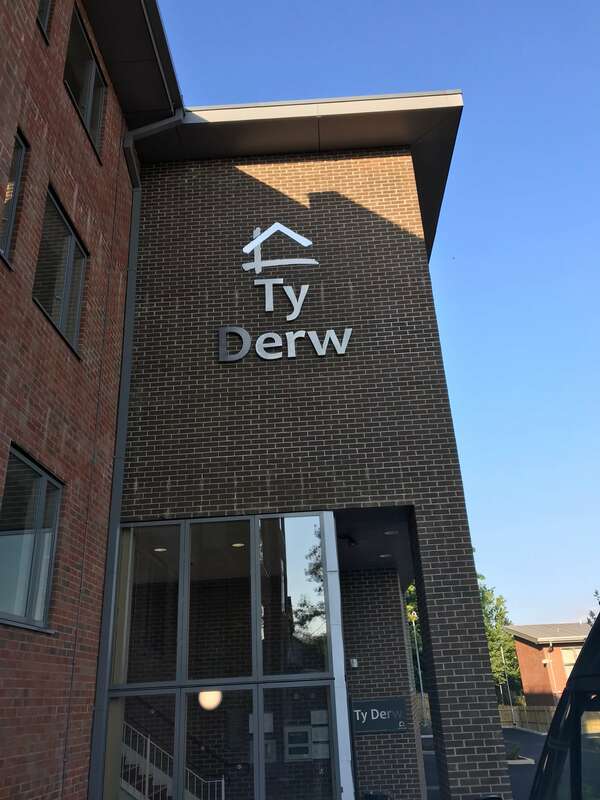 Taylor & Pickles were approached by FHA Wales to implement multi-lingual, dementia friendly signage at their new site based in Wales. 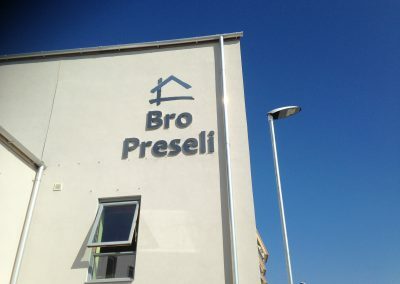 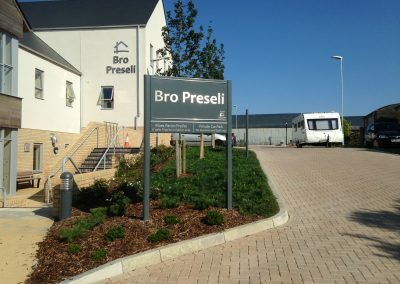 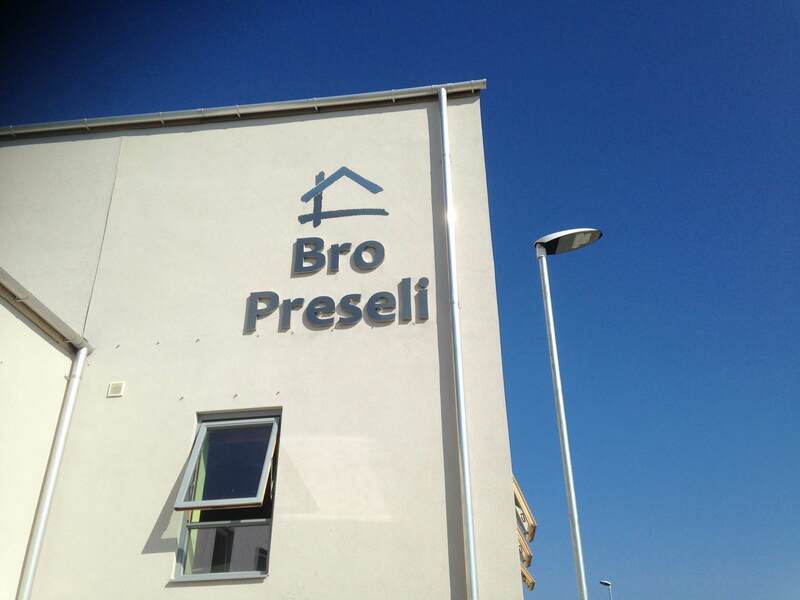 We design, manufacture and install signage at their Bro Preseli site. 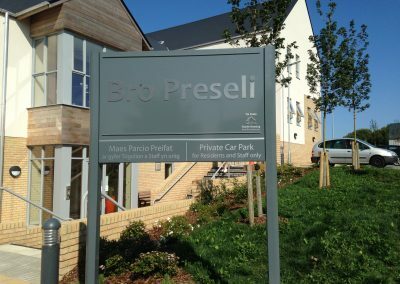 We provided both external and internal signs for their site. 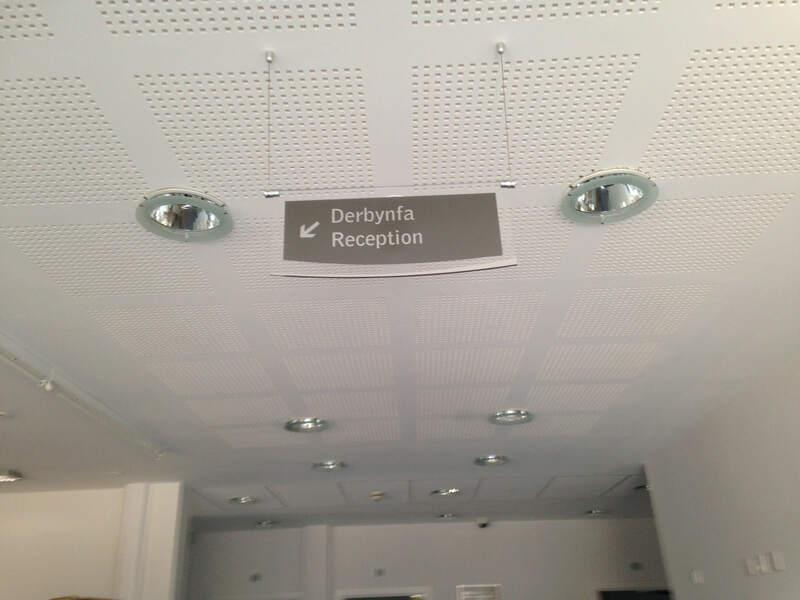 Flat cut stainless steel letters. 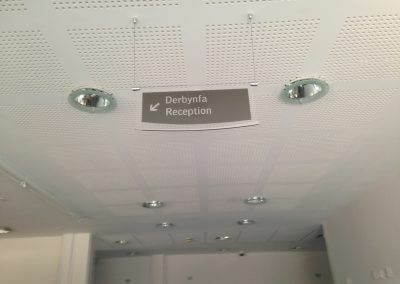 Both brushed and mirror polished. 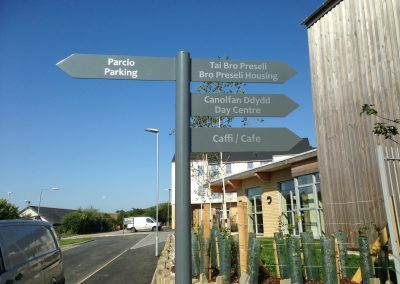 Post mounted car park signs. 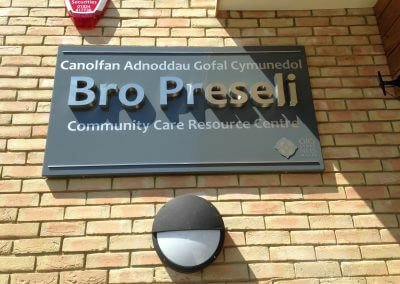 Monopole signs, with flat cut and built up stainless steel letters. 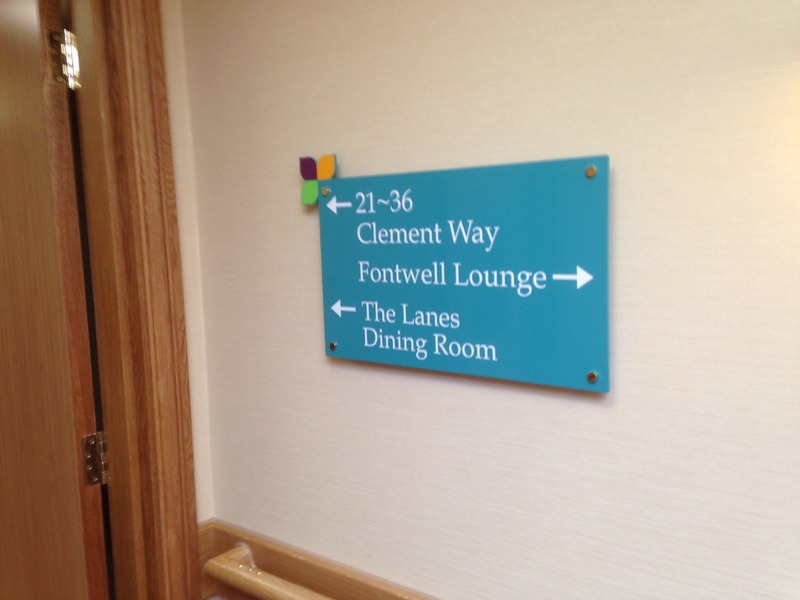 Below are examples of both the internal and external signage we produced FHA. 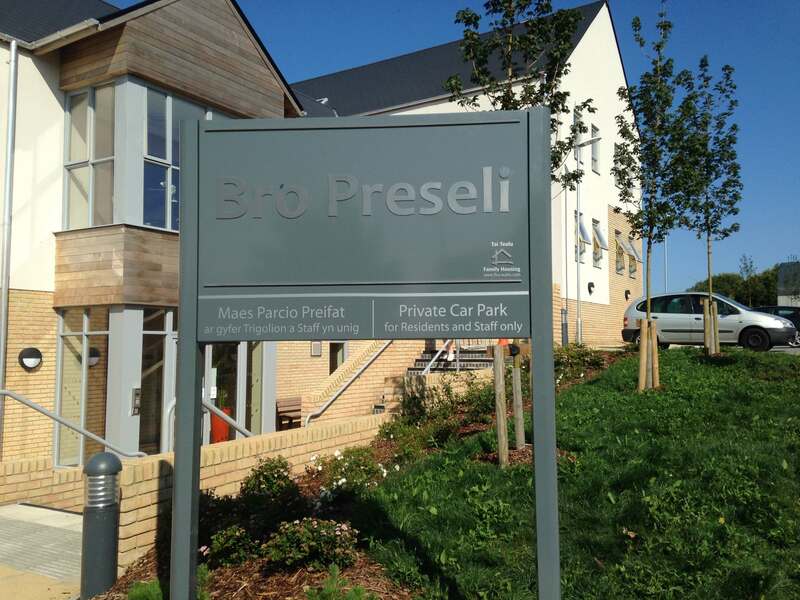 We are proud to work with FHA to produce their signage.